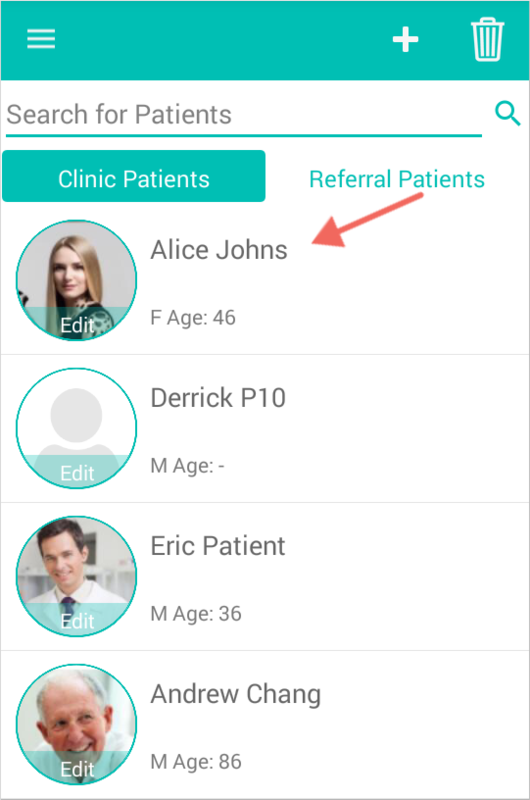 Click the Patients button from the top menu bar then select an existing patient. 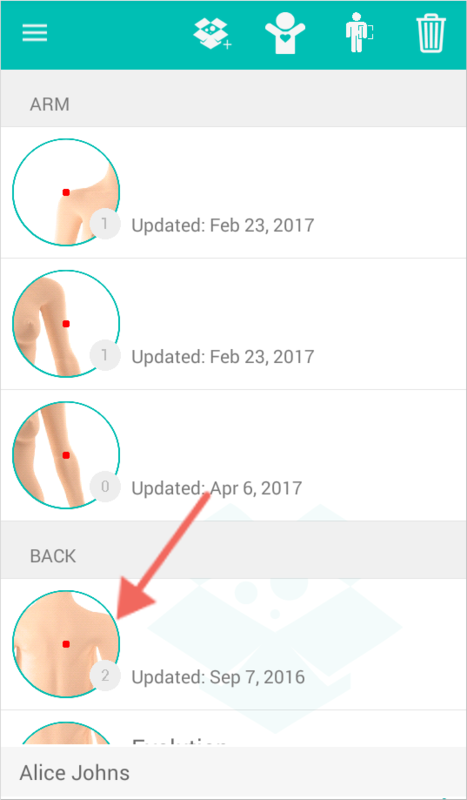 Choose the "From Patient's Images" tab. Select the image(s) you would like to add from Quick Snap to that spot. 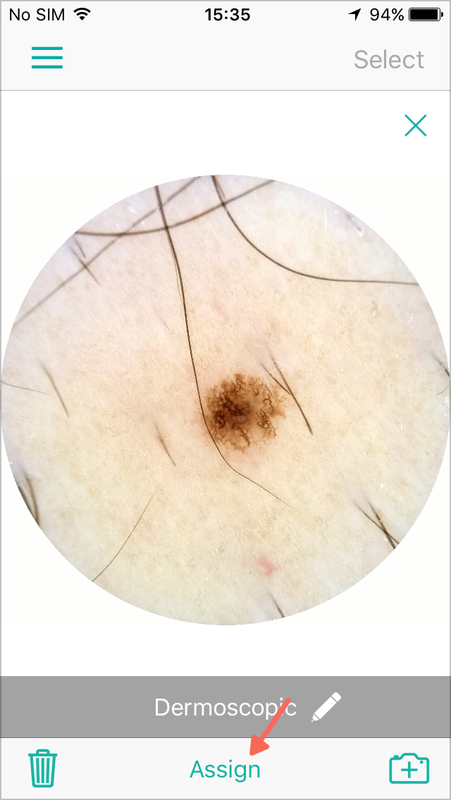 When clicking an image you will have the option of labeling it as an dermoscopic or overview image. When ready, click done. Select Quick Snap from the side menu. 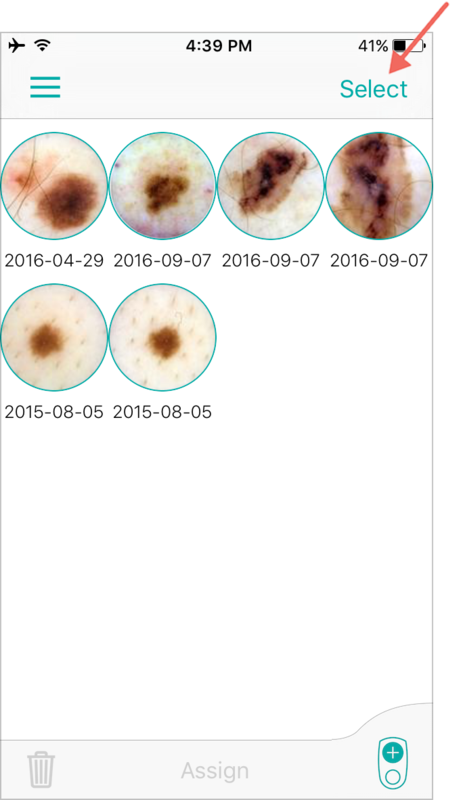 Select the image you would like to assign to an existing patient or a new patient by tapping Select or by tapping on the mole image. 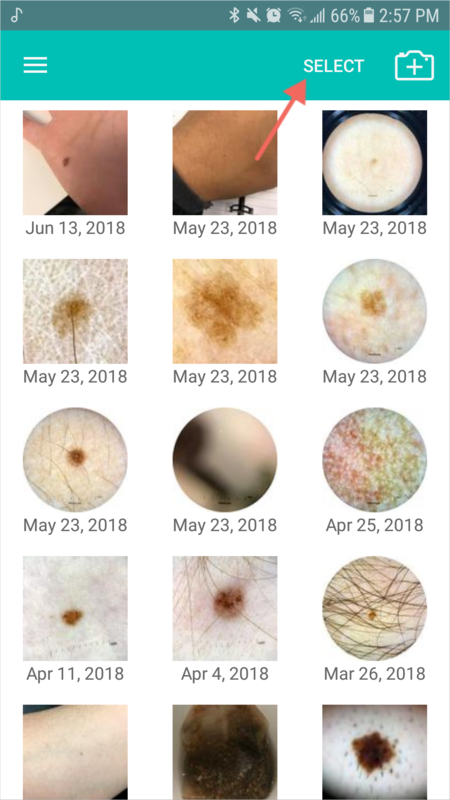 Next, select which patient you would like to assign the mole to. 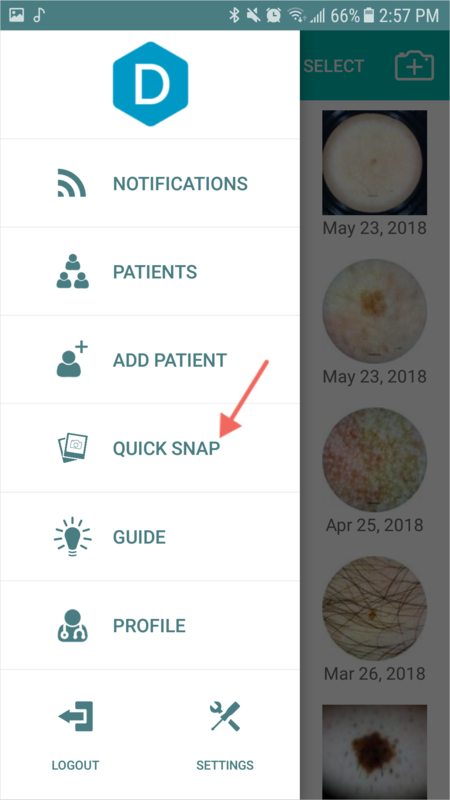 Alternatively, you can add the image to a new patient by tapping . To learn how to add a new patient, click here. 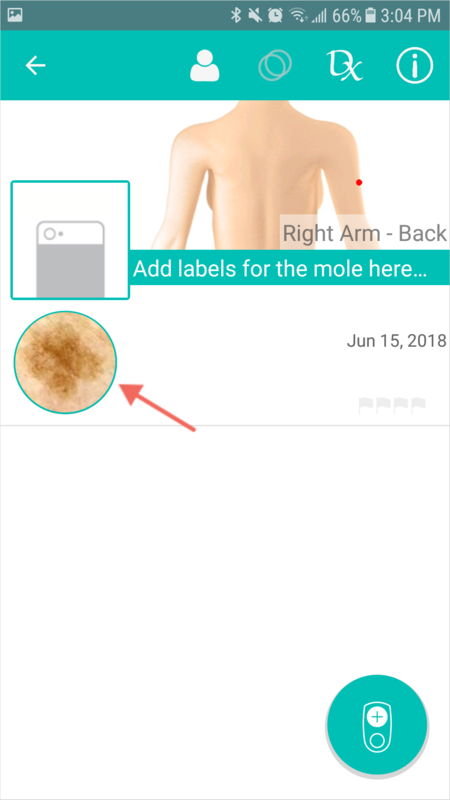 Select whether you would like the image assigned to a current mole profile for that patient, or a new area by selecting the icon. 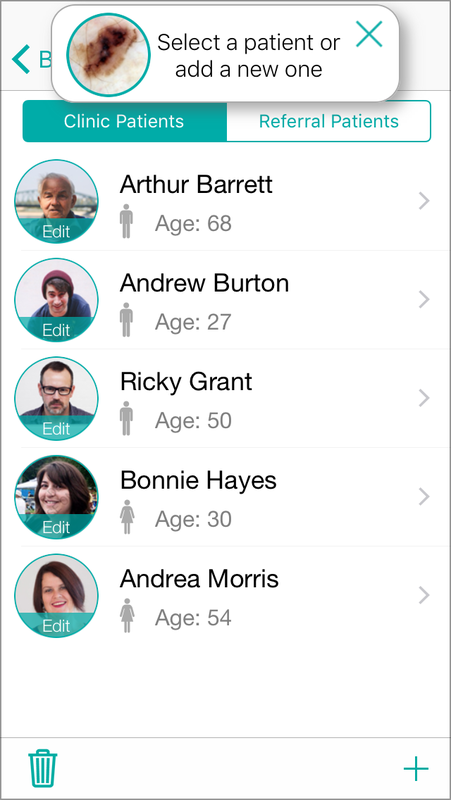 Tip: Tap to select a different image type. 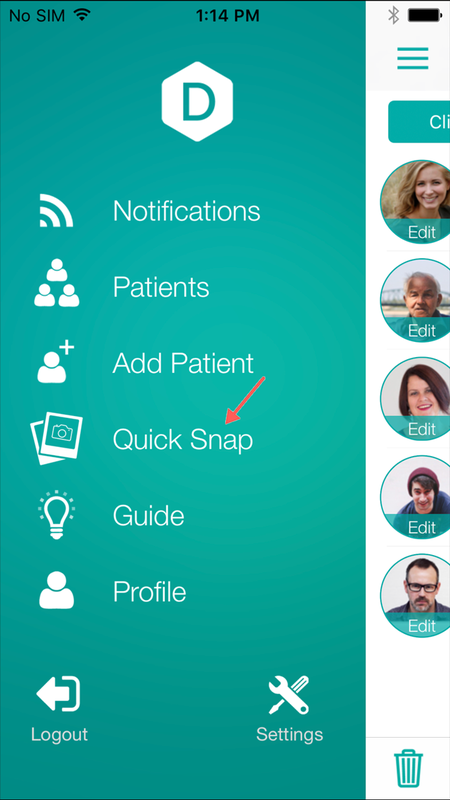 Tap the Select button, then choose which image you would like to assign to a new or existing patient. 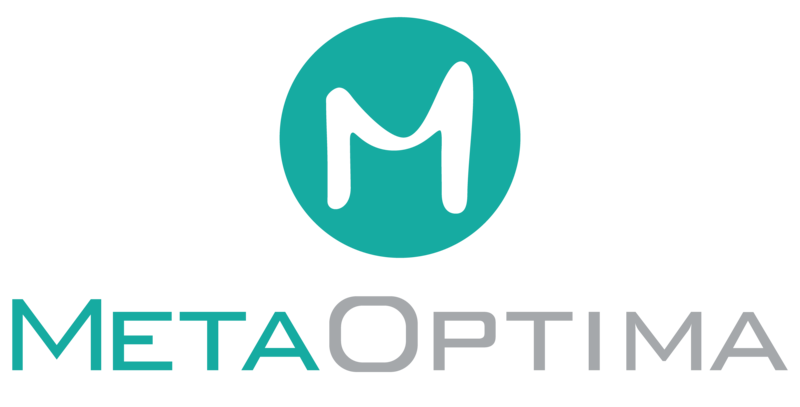 Your image will be successfully assigned, where it can be viewed under that patient's spot profile. How Do I Verify My MoleScope Account That My Doctor Created For Me? How Do I Add Color Coding To My 3D Body Map? How Do I Create A Generic Template?